Multi-Channel Networks (MCN) are powerful platforms significantly beneficial to YouTube influencers and content creators. The exposure to an augmented audience and access to advanced ad features seems pretty attractive. 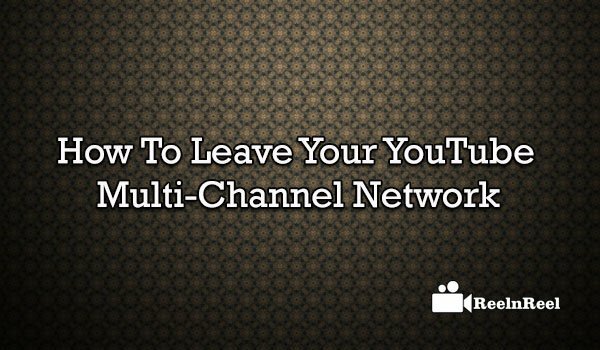 Everything about YouTube Multi-Channel Network is given here. A binding contract with MCNs can have a downside leading to broken contracts and relationships particularly when a network overextends with talents. Managing too many talents can hugely affect the MCN’s ability to efficiently deliver on promised benefits. YouTube celebrity Ray William Johnson reportedly pressured by Maker Studio into signing a contract that would require him to give 40% of his overall channel revenue and 50% of the intellectual property rights to the company. In this instance, Johnson remarked that Maker Studio was using “thuggish tactics” to coerce him into the contract. In a different case, Machinima criticised for using perpetual “dodgy” contracts that led to serious problems for prominent YouTuber Ben Vacas famously known as Braindeadly. After signing the contract, he discovered that the evergreen rights to his content ad infinitum were held by Machinima. In line with the above contract issues, if a content creator ever decides to leave, it is important that they seek legal help from an experienced YouTube lawyer who understands in detail the requirements of such contracts. A knowledgeable contract lawyer will read the fine print and help you comprehend every detail of the contract. Multi-channel networks are for-profit businesses, and so it is vital that your best interests strongly guarded. Generally, your exit from the YouTube MCN will affect the network as it will lose the value your channel contributed to its overall success. As an affiliate channel managed by a network, which partners with other brands, issues of copyrights may arise following the exit. Keep in mind that the agreement is strictly between you and the MCN, and YouTube has no direct involvement. From inception, the MCN will ask you to agree to a binding agreement with them. Since YouTube is not a party to your agreement, it cannot arbitrate over disputes between MCNs and channel owners. It is crucial that you consult with your attorney when you want to leave an MCN. Sam Mollaei, Esq., is a YouTube lawyer who represents YouTubers with their Multi-Channel Network contracts. If you are a YouTuber and have any questions or issues when dealing with your MCN, feel free to contact Sam Mollaei, Esq. For a free consultation. Sam Mollaei, Esq., YouTube lawyer, can be reached by email [email protected] or via phone (818) 925-0002.